Syosset, NY The LiRo Group (LiRo) has hired John McCaffrey as chief information officer. With 2017 revenues exceeding $400 million, ENR Engineering News-Record magazine currently ranks LiRo as the 15th largest construction management firm in the U.S. He will spearhead the coordination, product development, and marketing, of LiRo’s suite of digital technology services offered to public, institutional, and private clients. LiRo’s technology services include Building Information Modeling (BIM); Virtual Design, Construction, and Operations (VDCO); Geographical Information Systems (GIS) and Survey; and Information Technology (IT). He will also oversee the operations, development, and planning of the firm’s internal IT systems. “LiRo has recognized early on that Information Technology is a critical key to successful management, engineering, and architectural design as well as planning and budgeting of construction undertakings. With an impressive experience in leading large IT operations for both public and private organizations, John McCaffery is uniquely qualified to offer our clients digital tools and systems to accelerate and streamline project design and delivery as well as to support facilities management operations,” said Luis M. Tormenta, PE, LiRo’s Chief Executive Officer and Vice Chairman. Prior to joining LiRo, McCaffrey worked as chief information officer for Westchester County and as commissioner of Information Technology for Orange County, both in New York; and as director of information technology for the Village of Skokie in Illinois. He also founded a technology-consulting firm John McCaffrey Associates. He received an MBA from the Keller Graduate School of Management, DeVry University, in Oakbrook Terrace, Illinois; a Master of Science in Network and Communications Management, also from DeVry University; and a Bachelor of Science in Finance from Saint John’s University in Jamaica, New York. He holds graduate certificates in Information Security Management, Electronic Commerce, and Wireless Networking. McCaffrey was recognized as a 2017 Top Government Innovator by Government Technology Magazine and received a 2017 Symantec Cyber Award for Excellence in Government Cybersecurity. McCaffrey serves on the Westchester County Historical Society Board, the State University of New York Orange Curriculum Advisory Board, New York CIO/CISO Executive Summit Governing Boards and the Westchester County Association Broadband Advisory Committee. He also is a Public Utility Director of Westchester County Emergency Operations and an Advisor for the Orange County, New York Business Accelerator. 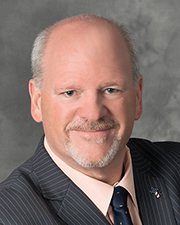 McCaffrey is a member of the New York State Local Government IT Directors’ Association and the North West Municipal Conference’s Technology Subgroup Long Island Info Systems Management Association. LiRo’s VDCO team recently opened its new studio and laboratory dedicated to the development and implementation of BIM, visualization, and other digital technologies, located within LiRo’s offices at One State Street Plaza in Lower Manhattan. In addition, in 2017, LiRo established its GIS and Survey Unit, which collaborates closely with the VDCO team, allowing LiRo to lead the national construction industry by integrating GIS with BIM methodologies into a comprehensive visualization and project-and-facilities management tool. The firm’s VDCO team is currently providing BIM and visualization services for the Metropolitan Transportation Authority Capital Construction Division’s (MTACC’s) East Side Access project in New York City. Under a separate contract, LiRo, in a joint venture with Jacobs Engineering Group, has been also serving MTACC as construction manager for the East Side Access project since 2008. The nearly $10.2 billion East Side Access project will bring Long Island Rail Road (LIRR) service to eight new train platforms and a new eight-block-long, 350,000-square foot passenger concourse approximately 150 feet beneath Grand Central Terminal. When complete, East Side Access will serve approximately 162,000 customers a day, saving each of them up to 40 minutes’ time on their commutes, and significantly reducing overcrowding at Penn Station and relevant west-side subway lines. As BIM Manager for the effort since 2012, LiRo VDCO has been providing 4D scheduling, logistics, and constructability coordination to MTACC, which acts as an owner for the project. The team has successfully implemented BIM into this colossal project to analyze, visualize, and communicate project geometry, data, and workflows. To date, VDCO has modeled the project in its entirety, and is now using the resulting BIM resources to create visualizations, to coordinate and record laser scans for better as-built survey documentation, and to enhance construction tracking and logistics workflows as well as asset management processes. The VDCO team’s work has revolutionized the way the project’s stakeholders understand this massive undertaking and make decisions on its myriad interrelated components. VDCO’s efforts have also greatly enhanced the level of collaboration among all parties involved in East Side Access construction.